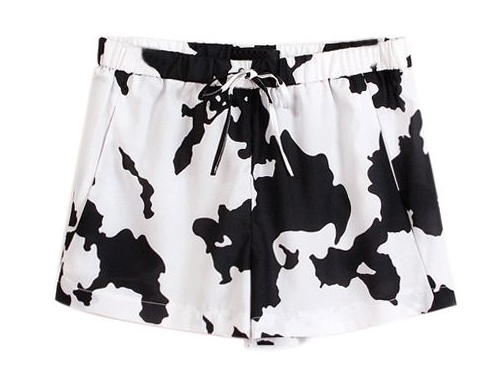 A monochrome theme of long baggy shorts, cow print, long kimonos, pleats and cross over sliders. I love duster coats and the idea of wearing shorts with a long lined coat or even one of those long kimono's which are from Topshop - more suitable for the summer weather too. Love the jumper in the first picture and the pleated skirt! 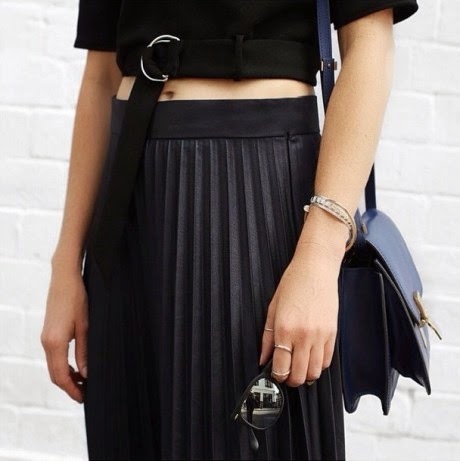 Love this inspo - those black slides are everything!